Bi-fold doors allow containment of sparks and accent the front of a fireplace when not in use. Downdrafts are also better contained. This venting kit includes everything needed for an in-home installation of 12DM class A chimney pipe for select IHP/Superior, Vantage Hearth, DESA or Vanguard woodburning fireplaces. Simply choose your required chimney height (measured from the top of the fireplace) and the appropriate roof pitch option and you will receive the corresponding pipe lengths and roof flashing. The kit also includes one firestop, a storm collar and a round chimney cap with a mesh screen. Take all the headache out of your search for 12DM class A chimney parts for your chase installation of a IHP/Superior, Vantage Hearth, DESA or Vanguard woodburning fireplace. Simply choose your required chimney height (measured from the top of the fireplace) and you will receive the corresponding pipe lengths, two firestops, a storm collar and a large round chimney cap with a louvered screen. IHP/Superior Wood Fireplace 12 Inch x 18 Inch Chimney Pipe. Only IHP/Superior Chimney Wood Fireplace Chimney Liners and Chimney Liner Accessories are approved for use with IHP/Superior Wood Fireplaces. They are UL approved and are not for use with any product other than IHP/Superior Wood Burning Fireplaces. IHP/Superior Wood Fireplace 12 Inch x 48 Inch Chimney Pipe. Only IHP/Superior Chimney Wood Fireplace Chimney Liners and Chimney Liner Accessories are approved for use with IHP/Superior Wood Fireplaces. They are UL approved and are not for use with any product other than IHP/Superior Wood Burning Fireplaces. IHP/Superior Wood Fireplace Firestop Spacer for 12 Inch Chimney Pipe. Only IHP/Superior Chimney Wood Fireplace Chimney Liners and Chimney Liner Accessories are approved for use with IHP/Superior Wood Fireplaces. They are UL approved and are not for use with any product other than IHP/Superior Wood Burning Fireplaces. IHP/Superior Wood Fireplace Chimney Support for 10 Inch and 12 Inch Chimney Pipe. Only IHP/Superior Chimney Wood Fireplace Chimney Liners and Chimney Liner Accessories are approved for use with IHP/Superior Wood Fireplaces. They are UL approved and are not for use with any product other than IHP/Superior Wood Burning Fireplaces. When you are in the process of installing a new fireplace in your home, the pitch roof flashing is one item that you will want to be sure not to leave off of your purchase list! Available for roof pitches 0-6/12, this pitch roof flashing is offered for both 8" and 12" chimneys. Manufactured by IHP/Superior, all of the offered pitch roof flashing products are UL approved and are only compatible with the wood fireplaces made by IHP/Superior. IHP/Superior Wood Fireplace Storm Collar for 12 Inch Chimney Pipe. Only IHP/Superior Chimney Wood Fireplace Chimney Liners and Chimney Liner Accessories are approved for use with IHP/Superior Wood Fireplaces. They are UL approved and are not for use with any product other than IHP/Superior Wood Burning Fireplaces. 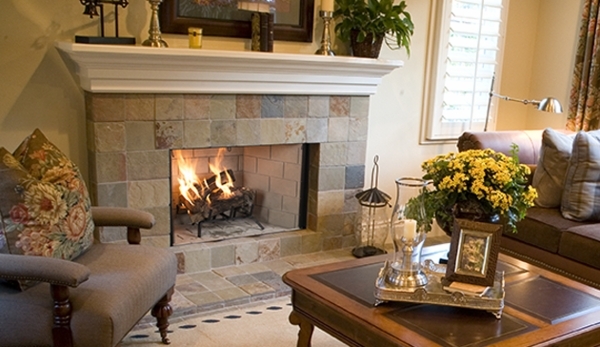 A wood fireplace round top is used to cap the top of your wood chimney pipe. This large round top from IHP/Superior comes with a louvered screen for durability and quality on the top of your chimney pipe. 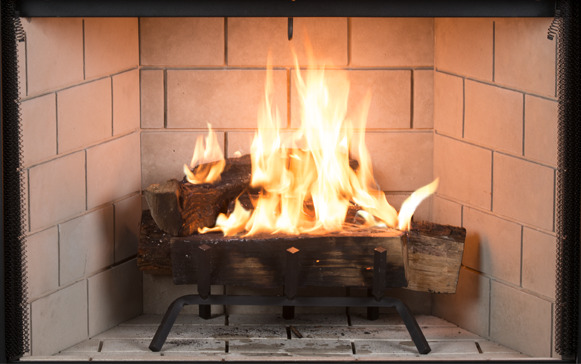 It will complete your IHP/Superior fireplace as it is designed to work with only IHP/Superior wood fireplaces, chimney liners, and accessories to ensure that you have the best quality for your fireplace. This round top is for use with 12 in chimney pipes. IHP/Superior Wood Fireplace 12 Inch Square Top Termination with Slip Section. Only IHP/Superior Chimney Wood Fireplace Chimney Liners and Chimney Liner Accessories are approved for use with IHP/Superior Wood Fireplaces. They are UL approved and are not for use with any product other than IHP/Superior Wood Burning Fireplaces. Installing the vents for your fireplace is a difficult process. But with IHP/Superior products, you can have fully compatible pipes and vents that allow you to create a more secure ventillation system. This spacer allows you to easily create enough clearance from the combustibles in your home, and you can decrease the need for insulation. This spacer is easy to install, and it is durable and long lasting, ensuring that your ventillation system will be protected. This 38" Superior Wood-Burning Fireplace with Stacked Grey Liner is a beautiful choice of firebox for your home. This radiant smooth-faced firebox has a durable textured powder finish and comes with the impressive Stacked Grey Brick Liner. The matching refractory floor has integrated ash for a touch of antique aesthetic. The included log grate is heavy duty, allowing for years of use. This firebox has concealable mesh screens, an adjustable outside air damper, and comes fully insulated for increased performance in colder climates. A large smoke dome allows for reliable operation and an unobstructed view. Bi-fold fireplace doors and outside air kits, with flex duct and hood, are available for this fireplace. Chimney options include the IHP 12 DM (1700?) double-wall air-cooled wood-burning chimney, or the IHP 12 HT (2100?) heavy gauge double-wall air-cooled wood burning-chimney, which is required for use in Canada. Can this firebox be used for gas insert log sets as well as for wood burning? 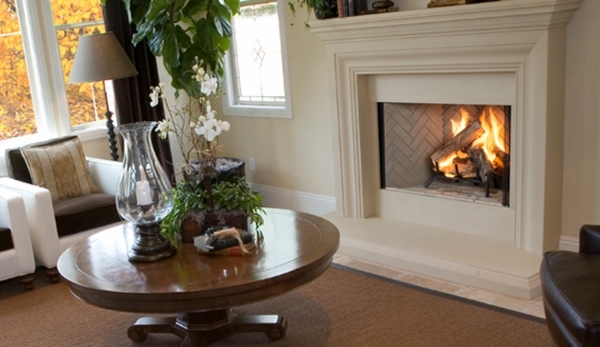 Yes, this fireplace is indeed listed for use with either a vented or vent-free gas appliance such as a log set or log lighter. Great product. Great customer service and shipping. Received stove in 4 days. I installed the stove first to make sure I was able to order all the chimney pipe needed. Called the following Monday and ordered the pipe. Great customer service when ordering pipe and again fast service. Got pipe in 4 days as well. We received the box on time and it was everything we expected - very nice.